A scuba diver. 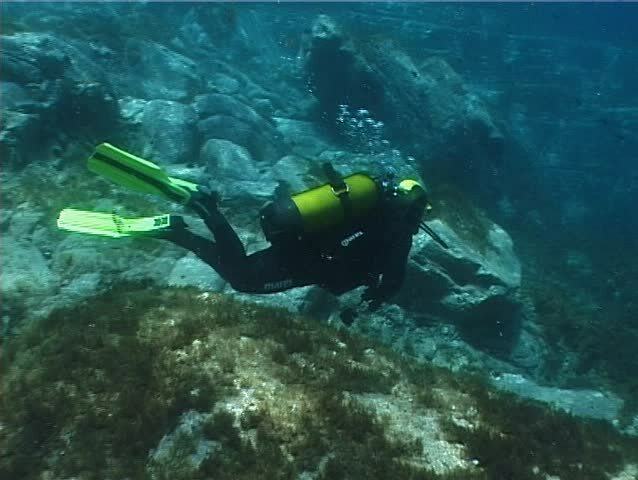 Shot captured in the Mediterranean Sea (Italy) by 3CCD camcorder - PAL system. hd00:16scenics from the coral reefs of the mesoamerican barrier. Mayan Riviera, Mexican Caribbean. 4k00:21Underwater photographer photographs large shoal of jacks on the reef. hd00:17Lake Baikal, Russia - 14 June 2018: Cameramen scuba diver with group under cold dark murky water on background of stones of Lake Baikal in Siberia.